The Largest Cars & Coffee event in the region! Sunday, April 7th, 2019 from 8 AM - 11 AM! Where? West Town Mall, 7600 Kingston Pike, Knoxville, TN 37919! RSVP via Facebook to stay up-to-date on event news! 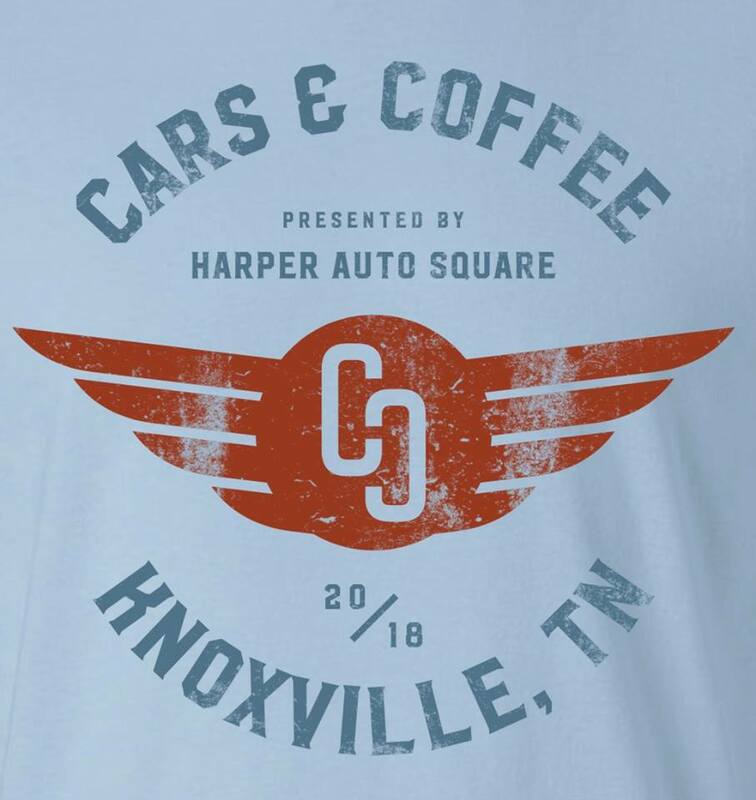 Founded in 2012 under the direction of Harper Auto Square Marketing Director Bill Johnson, Harper Auto Square's Cars & Coffee has grown from a 75 car event to the premier Cars & Coffee event in the South East. 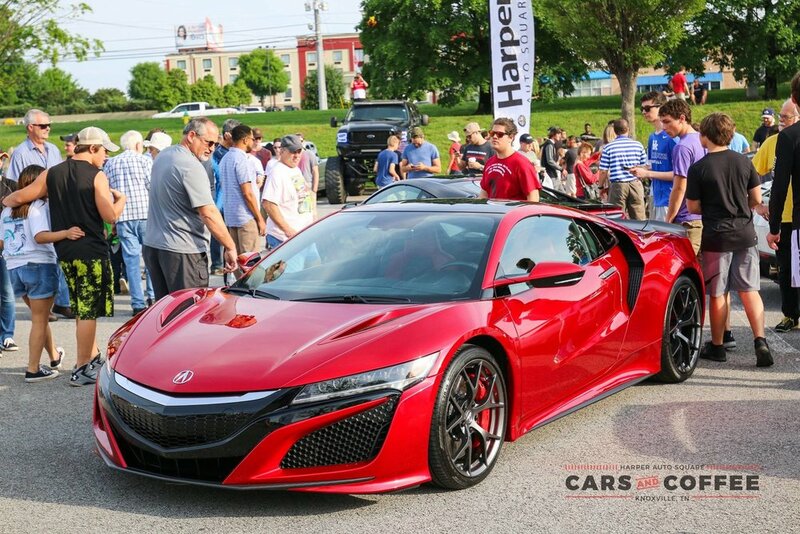 With over 6,000 cars and 10,000 guests per event, Harper Auto Square's Cars & Coffee draws guests from all over the region. 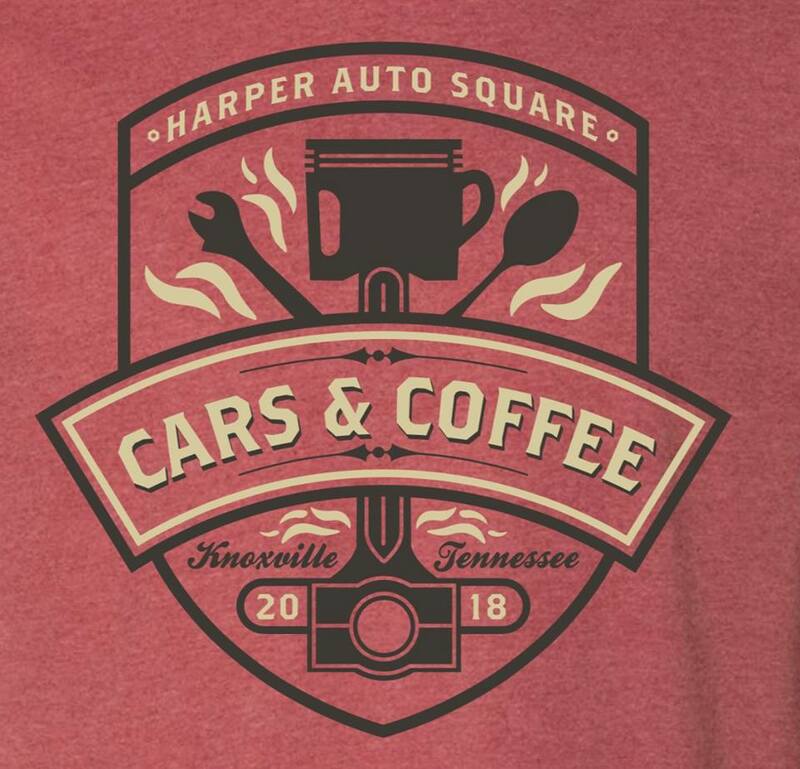 Additionally, in conjunction with WBIR Channel 10, Harper Auto Square is proud to be the first to broadcast Cars & Coffee events on television. Event attendees enjoy the wide variety of vehicles, new inventory on display from Harper Auto Square's 9 luxury dealerships, custom Cars & Coffee merchandise, and free dash plaques and refreshments complimentary of local sponsors. Each Harper Auto Square Cars & Coffee is highlighted by a 'Featured Vehicle' located near the Harper Auto Square Airstream. 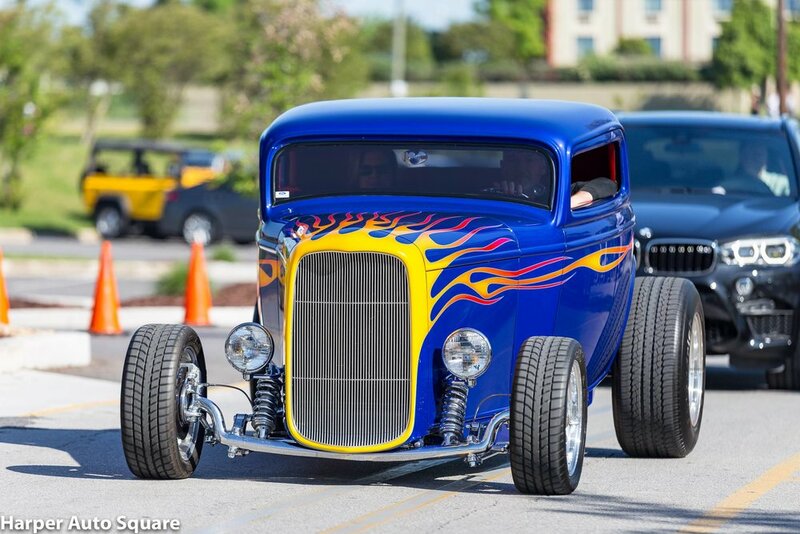 Harper Auto Square works in conjunction with manufacturers and private collectors when selecting a featured vehicle. 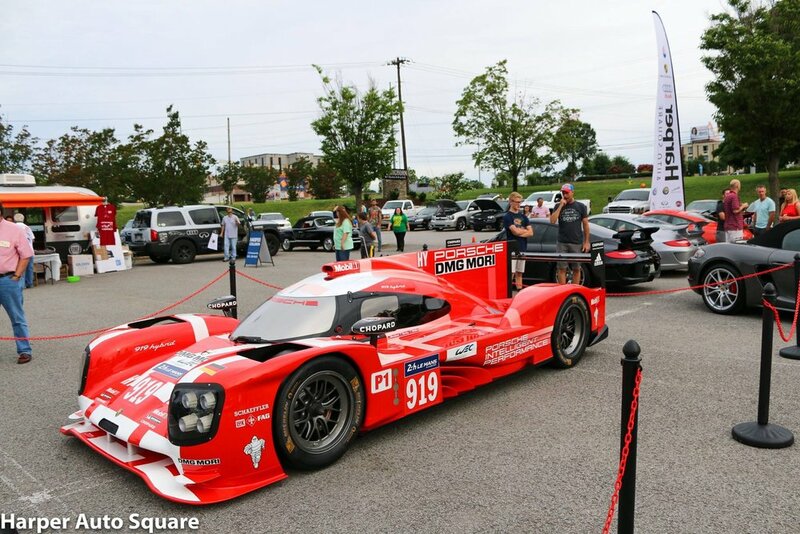 Notable featured vehicles include Fernando Alonso's championship winning Renault Formula 1 car, Audi Sport's championship winning Audi R8 LMP1, 2017 Acura NSX, Leh Keen & The Keen Project, Porsche Motorsport's 24 Hour of Le Mans winning Porsche 919 Hybrid LMP1, and the Hendrick Motorsports Goodwrench Chevrolet Corvette GTP. The Harper name has been synonymous with quality since 1981, when Tom Harper opened the Porsche, Audi, and Jaguar dealerships in Knoxville. Since then, Harper has expanded to six dealerships, nine franchises, and one collision repair center each catering to a different type of driver but providing the same level of excellence in sales and service. The Harper family of dealerships has always made customer satisfaction its primary objective. This is evidenced by our top-notch staff, beautiful state-of-the-art facilities and multiple awards for both sales and service. So many choices, all under the same standard of excellence. Harper...Where the drive is always world class.